Special stages laid near the Russian-Finnish border are extremely dynamic and speedy, almost every driver spoke about the track very enthusiastically. A good mood is supported by clear sunny weather, frost and absence of falling snow. 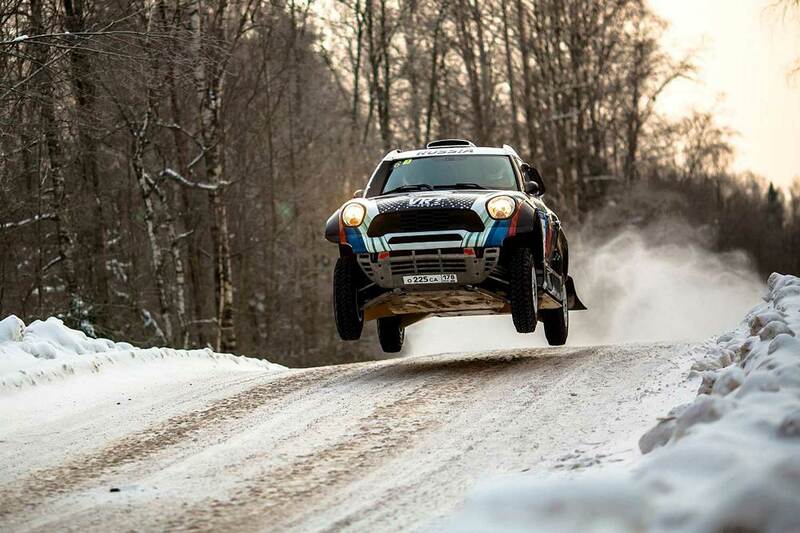 On Saturday, the drivers had to pass two special stages of 104 and 170 kilometers. The first section of the day was rather boring – almost everyone finished it without any accidents, trying to be careful and adjusting to high-speed driving on a slippery surface, except for a couple of crews. Denis Krotov in his X-raid BMW X3CC had a crash of wheel end bearing, and Boris Gadasin had to return to the service with a bunch of problems. 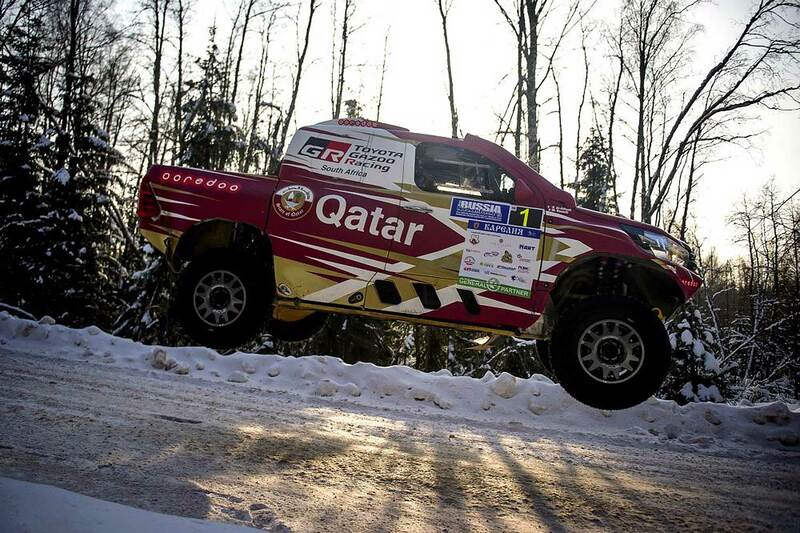 Qatari Nasser Al-Attiyah and French Navigator Mathieu Baumel with their Overdrive Toyota Hilux were the fastest, and Finn Tapio Lauronen (RE Mitsubishi Prototype) secured the second position. These tracks are almost native for him – Lauronen lives only a few dozen kilometers from the area of the rally, though on the other side of the border, but often visits these places. Martin Prokop (Ford F150 Raptor) from the Czech Republic rounded out the top three after 104-km special stage, but his advantage over the Russians Vladimir Vasilyev and Konstantin Zhiltsov (X-raid Mini), located on the fourth position, was not great – just two minutes. There was also a close fight in the Production category – Alexey Titov in his Ford Raptor disengaged from the Qatari Adel Abdulla in the Toyota LC200 for only 27 seconds. And the leadership in the T3 category was strengthened by French Claude Fornier. 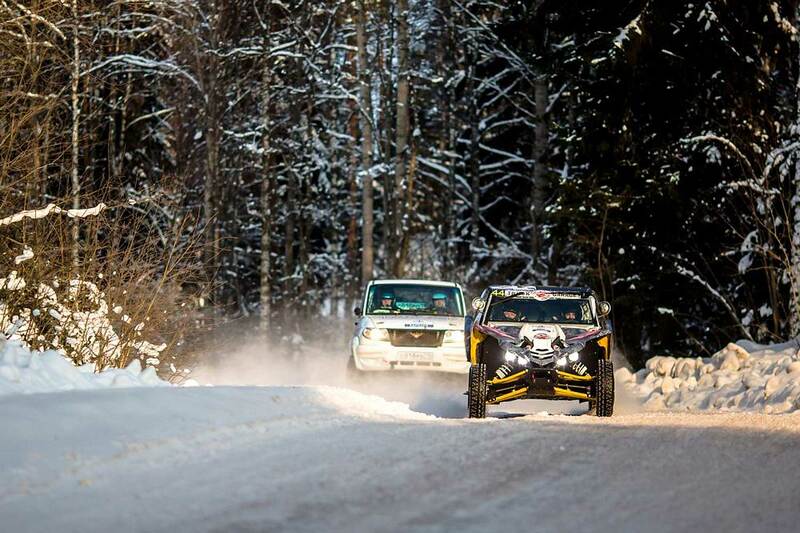 After a short break the vehicles moved to a second, more extensive, special stage. Confidence after the first half of the day has already grown and the drivers have become more courageous. The number of mistakes immediately increased. Tapio Lauronen lost his second position due to the flat wheel; Jakub Przygonski and Tom Colsoul in their Orlen X-raid Mini reached the unlucky fourth position, the Argentinian Volkswagen Amarok crew of Fernando Alvarez was too fast and "sat" on the parapet. However, guys managed to escape from the snow captivity quite quickly. 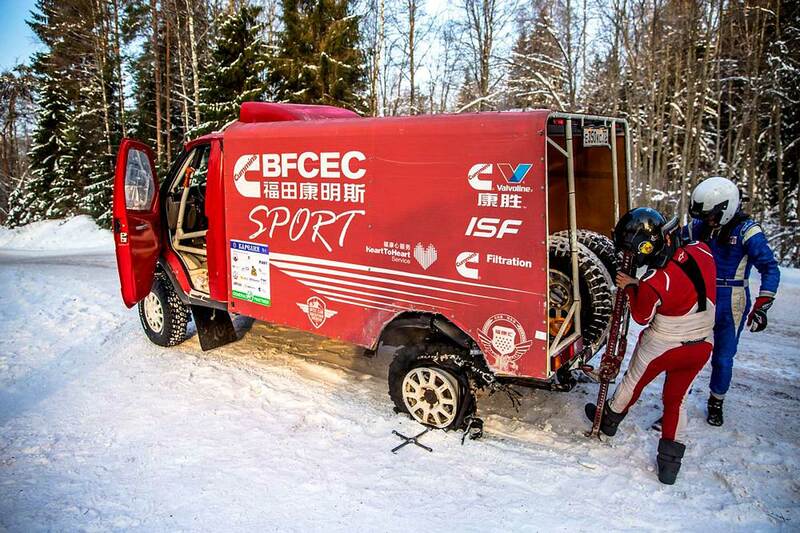 But the last year’s winner of the Baja Russia Northern Forest, Polish driver Aron Domzala was unlucky, he rolled his Overdrive Toyota over twice. After the first accident Yasir Saiedan from Saudi Arabia came to his aid and returned the crew to the road, and the second time Martin Prokop was engaged in rescue activities. The time spent on it was compensated. 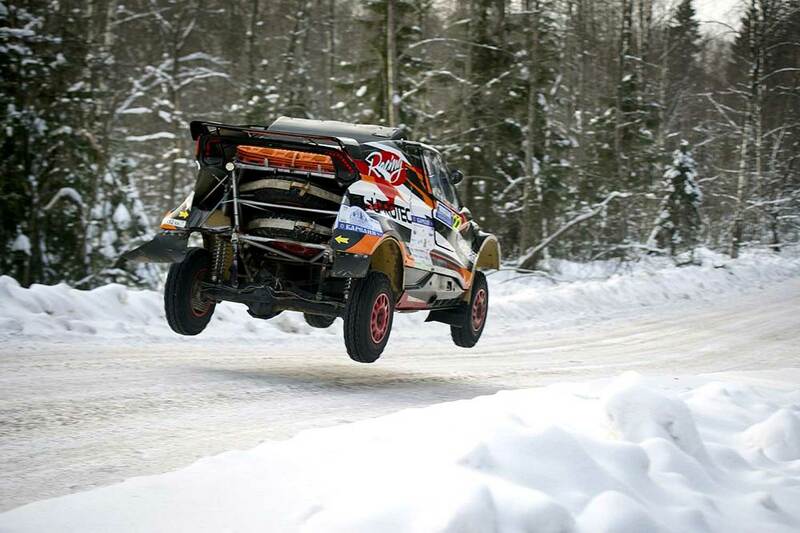 T3 category saw the leader’s change: Frenchman Claude Fornier was overtaken by Russian Dmitry Ponomarenko in the same vehicle – Polaris RZR 1000. Today is the final day of the Baja and the crews will again find two special stages with a total distance of 228 kilometers.